Michele Bachmann has had her blunders and not just in the political department. We've lamented her Tammy Faye Bakker-length false lashes, her penchant for backless sandals with tights and a particularly egregious pair of sunglasses. 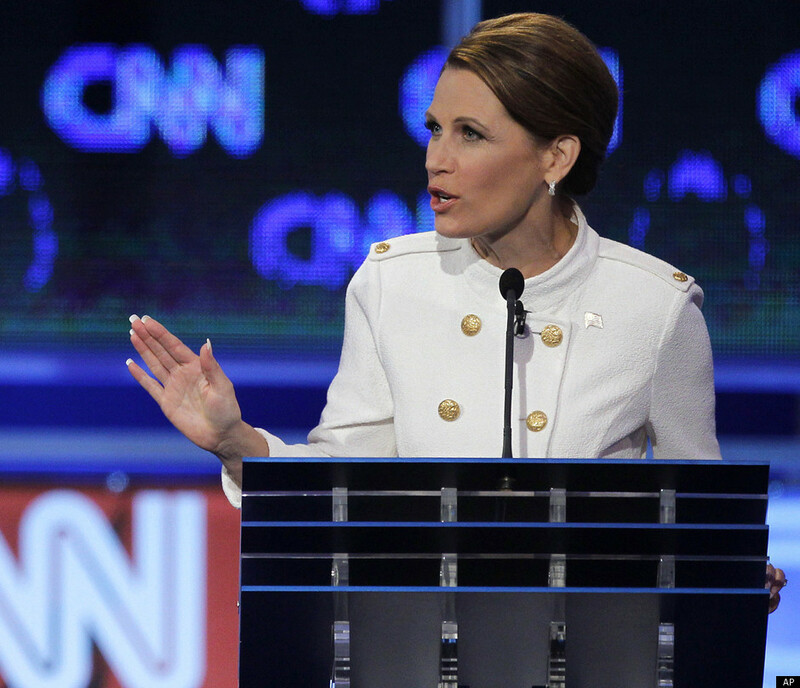 But at last night's GOP debate it was Bachmann's fake nails that stole the show. Paired with her severely styled hair, curious dangly hoop earrings and a white military-inspired jacket (that, admittedly, we really liked) were Bachmann's famous fake nails, extending what seems like inches from the tip of her fingers for all the world to see. As previously discussed, the Republican candidate's hard, glossy, squared-off acrylic nails are a prominent feature of her look, visible from a great distance and audibly clacking against the podium. And at last night's debate, Bachmann's nails were back with a vengeance. So distracting were they, even to Bachmann herself, that the candidate forgot where Libya is. We'll give you a hint, Michele: it's far away, but we bet they can still see your nails from there. Scroll down for more pics of last night's debate.